Provide your customers (corporates and individuals) with web-based access to real-time prices, order management and enquiry tools. Siena is a fully functional, multi-asset, trade and order management platform that supports multiple client roles. Our complete single dealer platform provides a superior client experience. It is powered by a high-performance pricing engine and enhanced by an intuitive direct intervention service. Delivering ESP, RFQ and RFSQ pricing with near-zero latency siena ensures all trades update positions, limits and deal blotters in real-time, providing full control, improved profitability and increased customer satisfaction. Direct customer and broker modes. Direct intervention with alerting and on-line chat facilty. Controls include auto trading hours, rate source, stop loss limits. Manage prices in real-time to keep up with volatile market conditions. Spread, skew and pull prices in real-time to effectively manage risk. Wide range of FX and treasury products. Rapid configuration of new products. Comprehensive range of limit orders. Fully flexible workflow and appearence for a seamless customer experience. Plug-ins to core banking and other 3rd party solutions. Optional link to existing pricing engine or 3rd party aggregators. Nearly 20 years of successful deployments globally. Secure, fully repudiated and traceable transactions. 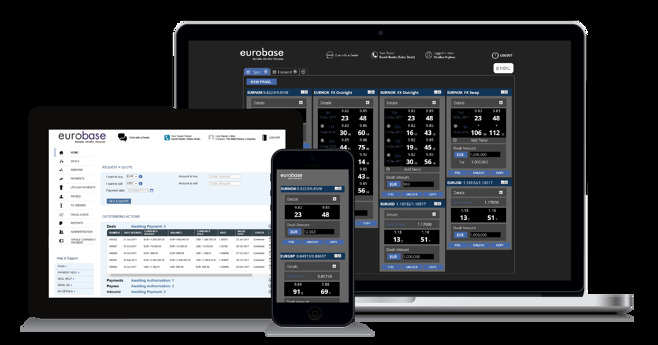 For 30 years eurobase has been providing reliable, integrated trading solutions to banks and financial institutions worldwide. 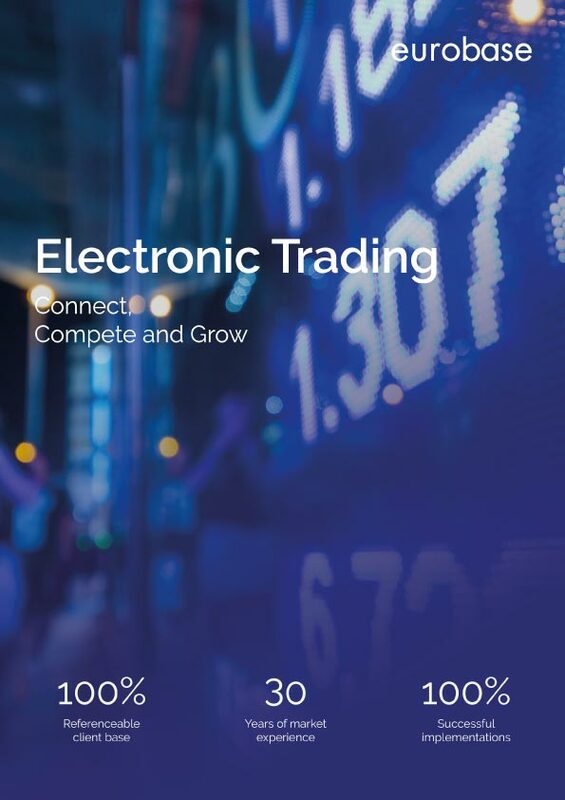 siena eTrader is a powerful, browser-based, single-dealer and customer web platform that will seamlessly integrate into your architecture to provide you and your customers with an unparalleled trading experience.